The Memorial Candle Program has been designed to help offset the costs associated with the hosting this Tribute Website in perpetuity. Through the lighting of a memorial candle, your thoughtful gesture will be recorded in the Book of Memories and the proceeds will go directly towards helping ensure that the family and friends of Nina Danley (Diamond) can continue to memorialize, re-visit, interact with each other and enhance this tribute for future generations. 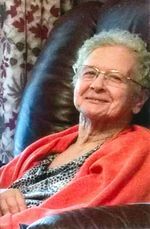 Nina Faye Danley (Diamond), age 82 went home to heaven on July 7, 2018, from her home of many years surrounded by all her family and friends. She was the heart of this loving family and will be cherished for the rest of our lives. Nina was a loving mother and friend to everyone and will be missed greatly. She lived her life in the Munson area. She worked many years with the Munson Nursery, grafting trees and working in the beautiful Munson Forest. She loved her family clearly and enjoyed gardening, visiting and traveling when she was able. She raised two families, the second one with A.C. Diamond and many many grandchildren between all them. She is preceded in death by: her husband, Rannel Danley; her parents, Leslie and Louise Phillips; and many loved ones who have greeted her at those pearly gates. Nina is survived by: two daughters, Edith (Marvin) Wolfe, Patricia (Andy) Davis; three step-daughters, Gail (Kenny) Baxley, Diane (Marty) Griswold and Donna (Tony) Alexander; a son she called her own, Kenneth Baxley; Nina had many grandchildren, great grandchildren who she loved very much. Pallbearers: Robert Wolfe, Brad Wolfe, Stewart Baxley, Ashley Baxley and Jason Griswold. Honorary Pallbearers: Raymond Morris, Fred Merritt, Harold Morris, Buddy Odom, Randy Cohron and Randy Clark. To send flowers to the family of Nina Faye Danley (Diamond), please visit our Heartfelt Sympathies Store.